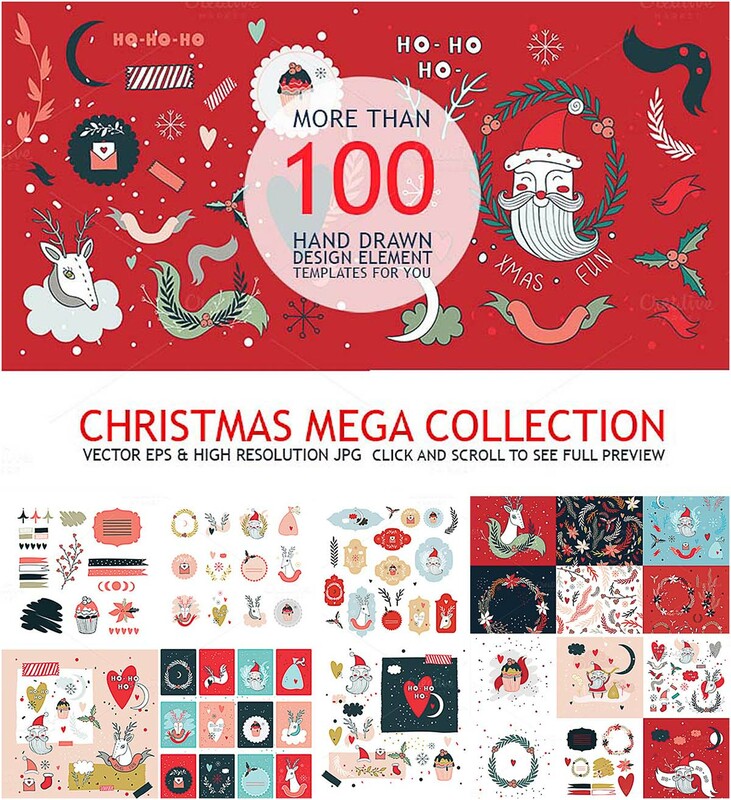 Set of 100+ Christmas hand drawn design elements. Perfect template for your business and design projects: wallpapers, website, desktop, flyers design, greeting cards, posters, collages, textures, clipart, invitations, scrapbooking, covers , presentations, logo backrounds and etc. Tags: Christmas, clipart, hand drawn, New Year, pattern, Santa Claus.